The attic and crawl spaces are the hidden areas of the property. Having said so, they invariably turn into the dumping grounds of the house or office. Slowly but surely, infestations make their way into these dark dingy areas, as it serves the perfect conditions for them. Thus, overlooking and ignoring these areas for too long can cost you a fortune. Regular inspection and proper upgrading of the attic and crawl space ensures prolonged efficiency of the property’s energy and hygienic condition. A timely and periodic check helps uncover issues,which could lead to further damage when going unnoticed. Moreover, it reduces the risk of evacuation and cuts down on huge financial outflows to get the place back in shape.We, at Quartz Solutions,are certified professionals in the field. Our customized plans, out-class technology and experienced work force offer hassle-free attic and crawl space services. Insects like cockroaches, wasps and fleas pose a serious health threat for you and your family. Leaking ducts cut the efficacy of the building’s insulation system. These areas turn extremely hot or cold and the electricity bills inflate immensely. Animals, like roof rats, bats and raccoons move about freely,damaging insulation ducts and cables. Their messy remains make the area unhygienic. Dripping ducts let moisture seep in flourishing the growth of Mold and Mildew. That leads to severe wood and structural rot, which increases the cost of maintenance and upkeep. 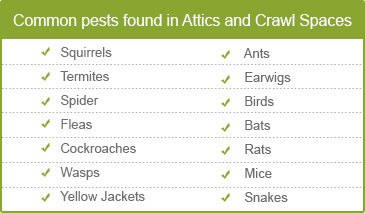 A complete and widespread inspection of the attic and crawl spaces is the first step towards tidy and hygienic space. We, at Quartz Solutions, have developed and perfected the process of maintaining and up keeping the attic and crawl space. Testing for leaking gases, checking for faulty wire connections and impaired insulation system, as well as, clearing off pests and other hazards. Our free preliminary inspection provides a clear insight to any potential problems.Once we have a clear understanding of what need to get done, a comprehensive cost-effective plan is put forth. At Quartz Solutions we work hard to provide our customers high quality service at an affordable price. Our tailor made plans are comprehensive and flexible. Palisades Park is a small borough in Bergen County New Jersey. True to its name, the place has beautiful parks, artistically designed homes and offices. It is considered to be a pearl, and Quartz Solutions would like to offer our services to help residents protect their properties. 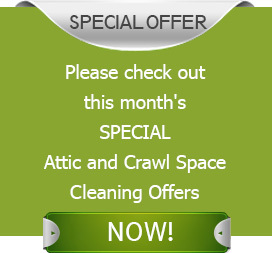 We’ll keep your attic and crawl spaces in top-notch condition. Call us at 201-205-2042 and book your free inspection!